Truly wireless earbuds are a newish category of headphones designed to get out of your way — no irritating cables getting in the way of what you’re doing. 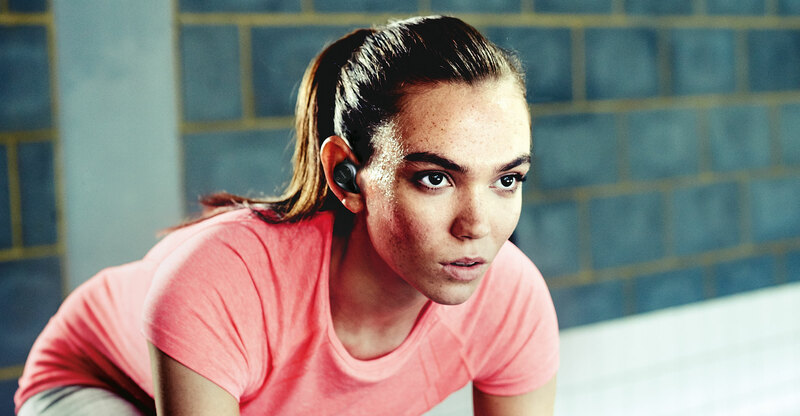 Jabra’s Elite Sport is a new contender in this space, and for runners and other sportspeople, they’re well worth considering. As regular readers of this website may know, your reviewer is a keen trail runner. I put the Elite Sport buds through their paces on several intensive training sessions at Kloofendal, a hilly nature reserve in western Johannesburg. There is plenty about the earbuds to like, and a few minor issues that might serve to put off potential buyers. The first and most important thing to take note of is that the earbuds have a limited battery life, and will need to be recharged after a couple hours of listening time. During a longer run at Kloofendal — listening to music and podcasts at moderately high volume, and taking a five-minute phone call — the battery went flat after two hours and 24 minutes. Ultradistance athletes, or even those running distances longer than a half marathon, might find that problematic. Fortunately, Jabra has tried to offset this by providing a compact and lightweight charging case. Pop the buds into the case, and it will recharge them up to two times more before the case needs to be connected to power (via micro USB to wall outlet, battery pack or computer). It’s a nifty solution, but some athletes may baulk at the idea of carrying even a little extra weight on long-distance events. The only other niggle with the Elite Sport it that the earbuds tend to pick up wind noise quite easily. At normal running speed, there’s no issue, but with the seasonal August winds howling in Johannesburg during our testing — apparently a sign that the eastern half of South Africa will get good summer rains — the noise was a little irritating, making it difficult at times to listen to the podcasts I was consuming. But then the wind was really blowing — at least 40-50km/h by my rough estimates. I imagine this could be more of an issue for coastal runners, though, where the wind blows much more often than it does on the Highveld. And as far as (minor) problems are concerned, that’s it! 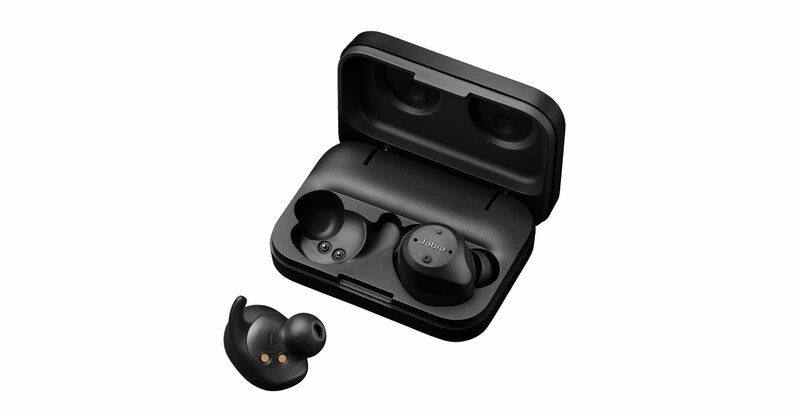 The completely waterproof (and sweatproof) Elite Plus earbuds are superb truly wireless earbuds designed for sportspeople. Indeed, they come with a three-year warranty against sweat damage (provided you register them). Each earbud comes with a set of ear gels and ear wigs to match the size and contour of your ears. It’s worth spending time going through each of these carefully, testing them for comfort, until you find the perfect fit. The half hour or so spent on this is essential for ensuring a comfortable fit — and making they earbuds don’t fall out. Once you’ve found the right match, the earbuds sit firmly in your ears, and won’t fall out, even if — like me — you’re prone to taking a tumble on the trails. In my testing, the earbuds remained comfortable to wear for hours of extended use, once I’d found the best fit. A snug fit is also crucially important to ensure the built-in heart-rate monitor works well and that you get the optimal sound quality with minimal background noise. Not having the right fit will have a big negative impact on the quality of the audio. The Elite Sport pairs effortlessly with Android phones and the iPhone. You can simply use them to consume audio, or they can provide feedback, when connected to the Jabra Sport Life smartphone app, while you’re exercising — including reading you your pulse (thanks to the in-ear heart-rate monitor). In fact, the app can provide personalised audio coaching in real-time during a workout. It can be used to monitor your fitness levels, predict your race pace and finish time, and get recovery tips to avoid over-training — features typically only found in a dedicated GPS sportswatch from the likes of Garmin and TomTom. You can connect other apps, too, including Endomondo, RunKeeper, and Strava, but you won’t get the extra feedback that Sport Life provides. The earbuds excel at phone calls. When a call comes in, you can answer it with a voice command, and call quality is excellent. Each earbud has two microphones that Jabra says work together to filter out background noise to ensure only your voice is heard clearly. I was super impressed with the results. Playback audio quality is also impressive for such tiny earbuds. You shouldn’t expect the quality you’d get from a pair of over-ear Bose, for example, but for in-ear buds the quality, although a little on the tinny side (not unexpected for their size), is very good for both voice and music. They were great for the harder edged rock and metal I listened to while running, though those looking for deep bass won’t be impressed. Controlling volume while exercising is easy using the volume up and down buttons on the left bud. It’s also easy to pause playback and, perhaps best of all, Jabra has a “HearThrough” button that, when double-tapped, lets through more ambient noise, allowing you to talk to someone while listening to music, or to hear if there’s traffic while exercising on the road. It works well, except at very high playback volumes. 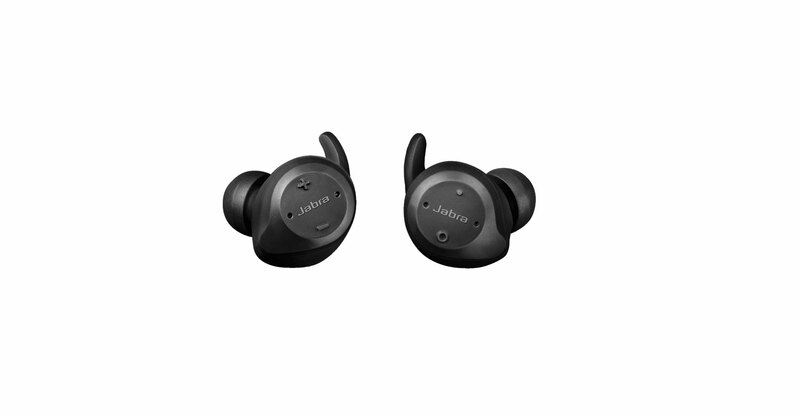 Are the Jabra Elite Sport truly wireless earbuds for everyone? No. Ultradistance athletes will probably find the battery life a deal breaker, though the lightweight battery case could bring them round — if they can afford to stop for the few seconds it takes to pop the buds into the case and take them out again once charged. Shorter distance athletes looking for a high-quality set of wireless earbuds should give the Jabras serious consideration.